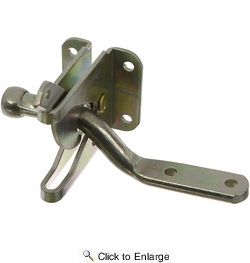 National N184-853 Automatic Gate Latch - Zinc Plated (BPB21). Designed for out-swing gates, doors, and animal pens. 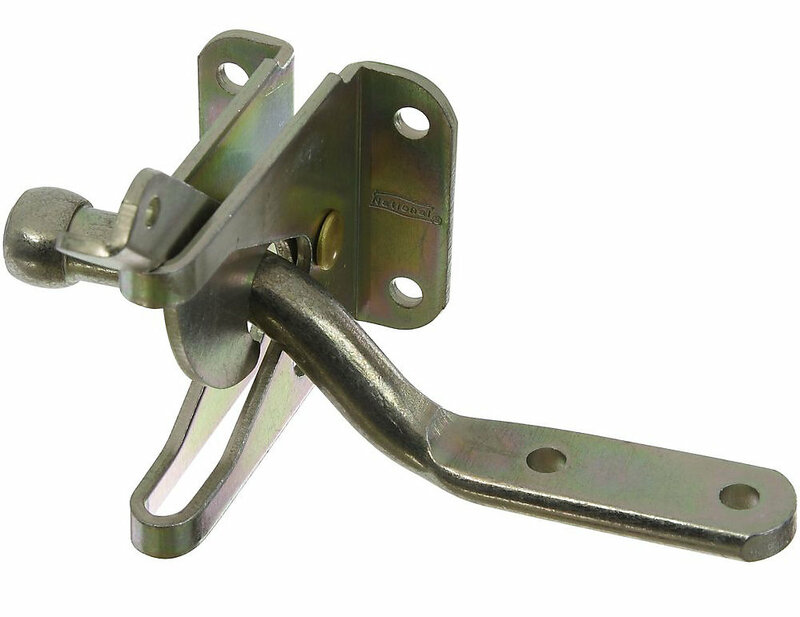 Latch comes with a 4 inch bar. Strike can be mounted either on the gate or the post. Fingertip trip release. Latches automatically. Designed for right or left hand applications. Can be padlocked for added security. Hole punch in release lever is for rigging cord release from opposite side. Mounting screws included.